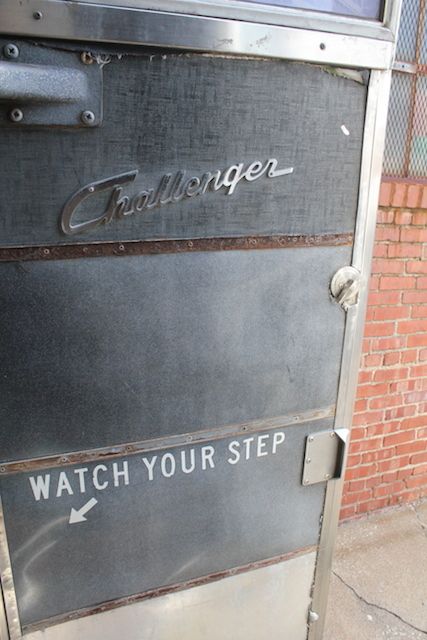 Upon hearing of my head first dive into the RV renovation world, you may be wondering what prompted such an adventure in the first place. I’m a firm believer that in order to ever really get anywhere with a particular idea or goal, you have to have a pretty good “why” behind your motivation. The “why” is what keeps you going when the newness wears off and the road gets hard. 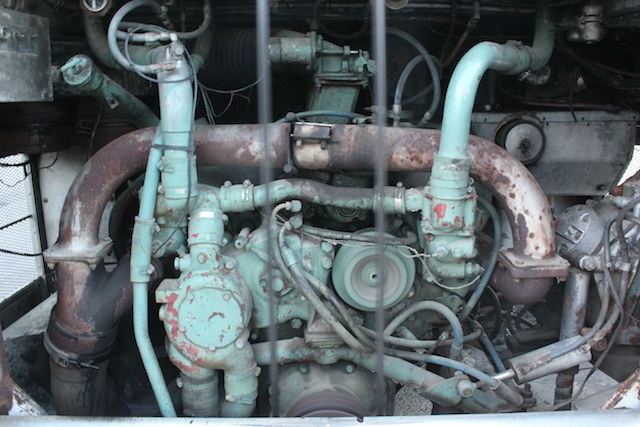 When it’s as hot as Hades in your bus and you have no real clue if you’re looking at a generator or an engine……. (probably just lost all my guy readers there :/ ). It’s the why that will push you to learn new things, figure out solutions, and deal with the struggles that most certainly will come. SO, what’s my why? Some of you may think “Oh, she got bored or just wanted to try something new…..this really isn’t that different than her normal interior design jobs.” You’d be partially correct, but the real reason runs deeper than that. You will notice throughout the course of the this project, that Tim won’t be helping out. This is a pretty major change when I consider how much I’ve relied on Tim in our past personal projects. It’s not that Tim isn’t willing (although he is quite busy with his own stuff), because he certainly would be. He even joked on the ride over to pick up the bus that he might outbid me or buy another bus so we could have a design duel and see who’s ended up the best! Ha! But here’s the deal…. This project is about reclaiming my power. There’s a lot of explaining behind this proclamation that I’m not sure I’m ready to fully discuss, but here’s the brief overview. Over the last couple of years, things have happened in life that kinda took the wind out of my sails and left my passion severely lacking. 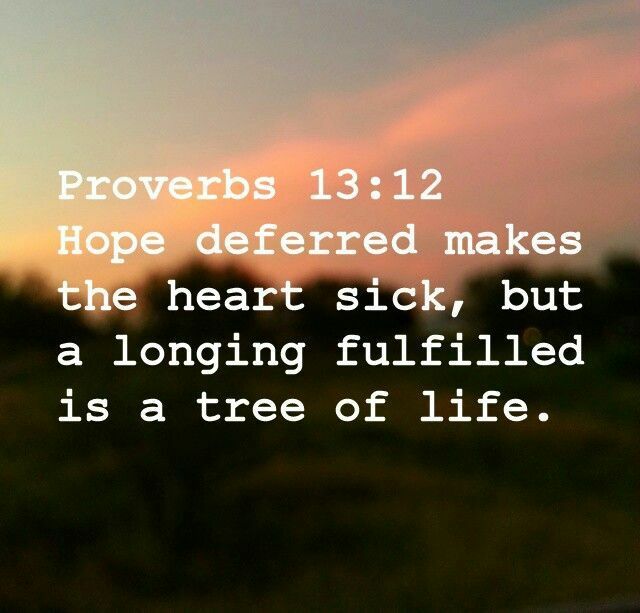 There’s a verse that describes my feelings quite well and it says “Hope deferred makes the heart sick.” With someone who dreams as big as I have, you can imagine the crippling power the death of a dream would have on me. Some of you won’t understand that last statement because you’ve never found your passion or dared to dream big enough that failure could really hurt you. But I certainly have. When I dream, I put my whole heart into it. Any long time followers out there will remember that Tim and I pursued creating our own design television show intensely for years. I’m quite sure there is nothing as up and down as the production world. One day it’s this, the next day it’s completely different. One day you get a call about shooting a pilot and a month goes by before you hear back. At the beginning of the process, everything made me giddy. Every e-mail, phone call, and connection felt like a step closer to what I had been envisioning for so long. As time went on though and I realized how often things don’t work out, I felt like I had to numb myself to keep from being so disappointed all the time. The roller coaster of emotions that I was taking myself on was too much for my hopeful self to handle………and I think something happens when you start living like that…..when you start living not to get hurt rather than putting your heart all in- life becomes a lot less meaningful. Your passion fades and you start to wonder what your purpose is. Life without purpose…..that’s almost unbearable. You can still watch our design show sizzle reel right here…. I hated how little control I felt when it came to making my dream of the design show come true. In previous circumstances, I knew all I had to do was work as hard as I could and things would work themselves out. The same rule didn’t seem to apply for my design show dream. The right timing, the right combination, the right show topic, the right network, the right look,……there were so many things I just didn’t have any power over. That feeling of helplessness was very present, and then Tim started Two Guys Bow Ties- taking him away from our day to day work on the dream. That was when things really started to change. Not only did I feel like I was losing the fight for our dream, but now I felt like I had to do it alone. I consider myself a very independent woman, but at that point, my heart just said “this is too much” and I slowly found myself focusing my energies elsewhere. All that to say I’ve been living a couple of years now in a way that really has paralyzed my passion. And I’m tired of it! I’ve realized that my power is in my passion, my passion is there to show me my purpose, and I have to live out that purpose regardless of the disappointments and heart aches that may come with it. A purpose filled life…..that is where joy and peace are found, even amongst the heartache. 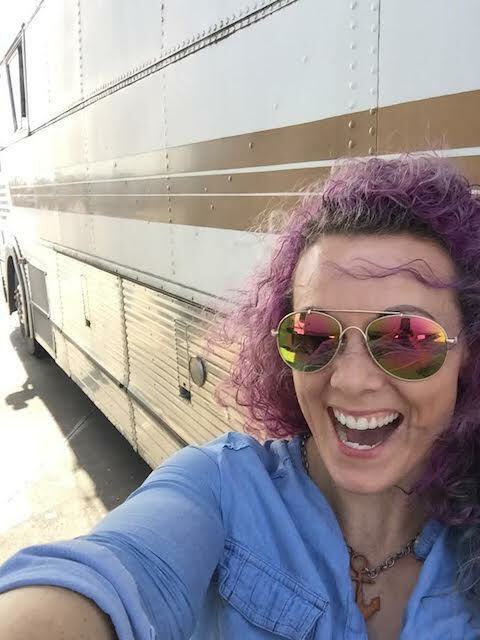 Now, just because I’ve had this realization doesn’t mean I’ve figured out exactly how to apply it…….but I did feel like taking on this bus was a great way to spark my senses again, to realize I can take on challenges/dreams alone and conquer them! ………So……wish me luck! It’s time to get my bus and my heart back on track! What type of bus? It looks like an Eagle. My husband’s grandfather had a business of converting passenger to RV type buses many years ago. That passion has been carried on to my husband. We currently have an Eagle that’s been restored. He worked with his Dad to DYI a lot of it. It’s not an easy process and definitely not a cost effective one! ha! My husband absolutely loves buses and I’m sure he could be a great resource if you are interested. I can put you in touch via email. Good Luck! Good luck! Giving up one dream can really knock us down but having the strength to get back up and stride confidently in a new direction is the mark of someone who will get where she should be. Now I love this project even more! Thanks so much for sharing! You are such a fresh inspiration and honestly, this post was speaking to me and I realized that dream is a power.r Thank you so much.